After sharing about things to do in Seoul, this time I'm gonna share about things to do/ places to go/ what to eat in Busan, South Korea. Actually Busan is not my friend's favorite city but I insisted to go there, so she had no choice, lol. 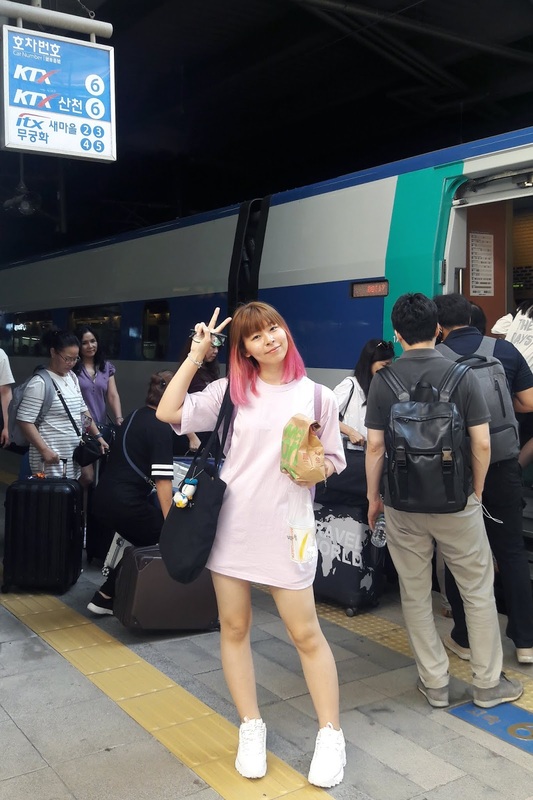 In this post I also will tell you about how to get to Busan from Seoul and where to stay in Busan. I used KTX to get to Busan from Seoul/ Seoul to Busan. We can book the ticket at least one month before the trip, you can check the schedule and purchase it here. I used credit card to purchase the round-trip ticket. When you're at Seoul Station, just show your details of purchase to the staff and he/she will give you the KTX ticket. 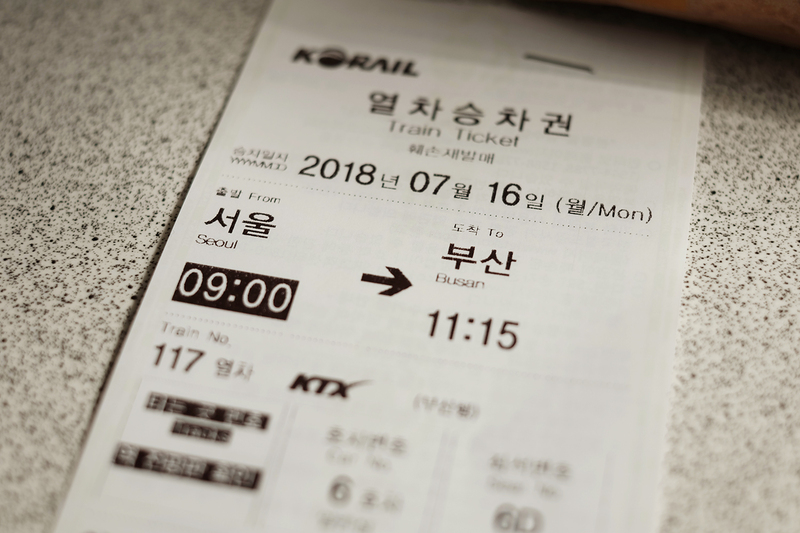 Picture above is what you get after purchasing the KTX ticket and the exchanged ticket. Me after arrived at Busan Station! Gotta take a photo, lol. 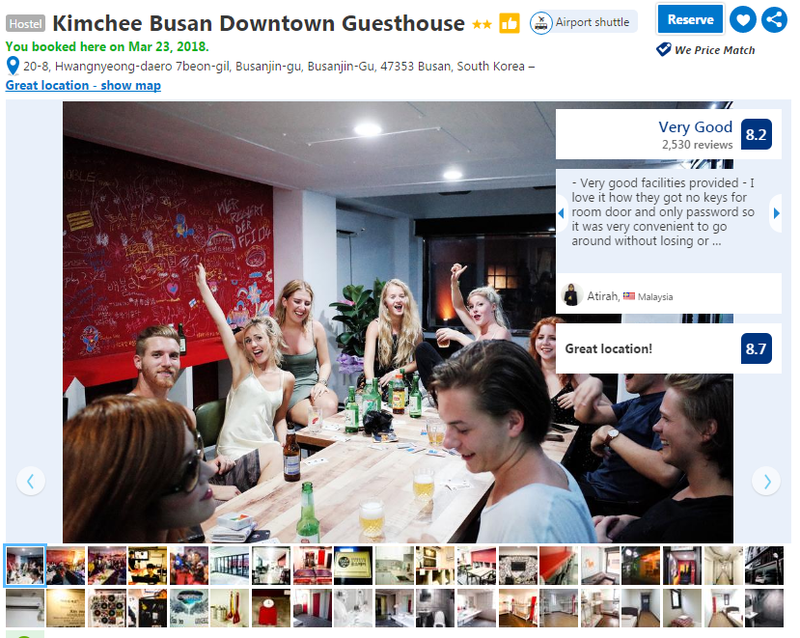 Just like in Seoul, we also stayed at Kimchee Downtown Guest House in Busan. They offer private and dorm rooms (we stayed in the dorm room), which I found much more comfortable than the one in Seoul. It's just 2 minutes walk to the Boemnaegol Subway Station (Busan line 1) and pretty close to the downtown (to eat and do some shopping). I like this guesthouse because it's affordable and the facilities are very good. Room and shared bathroom also clean ;) Anyway, if you want to book via booking.com, you can use my link: https://www.booking.com/s/34_6/japobs01 to get 10% discount (this is not sponsored tho). 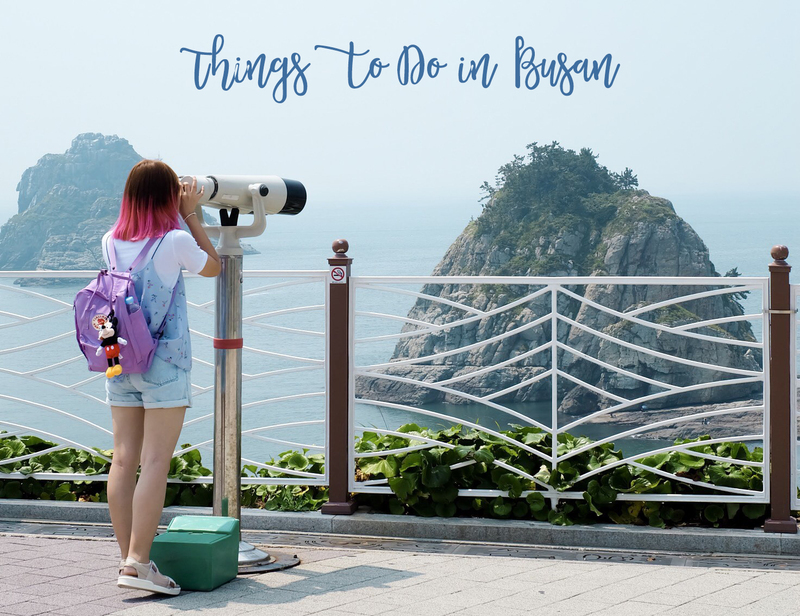 Here are some things to do // where to go in Busan, ready? Oh I bet you know this place; Gamcheon Cultural Village. 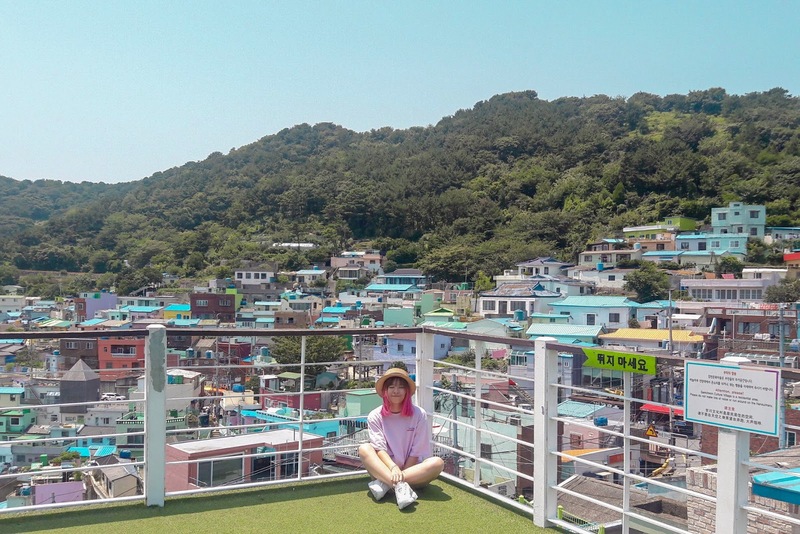 The colorful village has appeared on many Korean variety shows/ dramas and travel blogs/vlogs, also known as the Santorini of Korea. It's one of the must-visit place in Busan and honestly my main reason to visit this city. Take subway (Busan subway line 1) to Toseong Station exit 6, then continue with local bus Saha 1-1, Seogu 2, or Seogu 2-2 to Gamcheon Cultural Village. I think you can just follow the crowd, lol. When you arrived at the last stop, you can see the village's sign. From the very first house you see, you can't help but taking photos. Believe me, every corner, everything is just soooo photogenic/ instaworthy/ whatever you call it. I knew this place from 1 Night 2 Days and decided that I must visit it one day, so saw those spots in front of me was kinda...exciting! The only thing that spoiled this trip (just a little not much) was the heat :( Well, it's the risk of having summer trip tho, hahaha. FYI, people are actually living in these houses, so make sure don't be too loud when you're here okay. 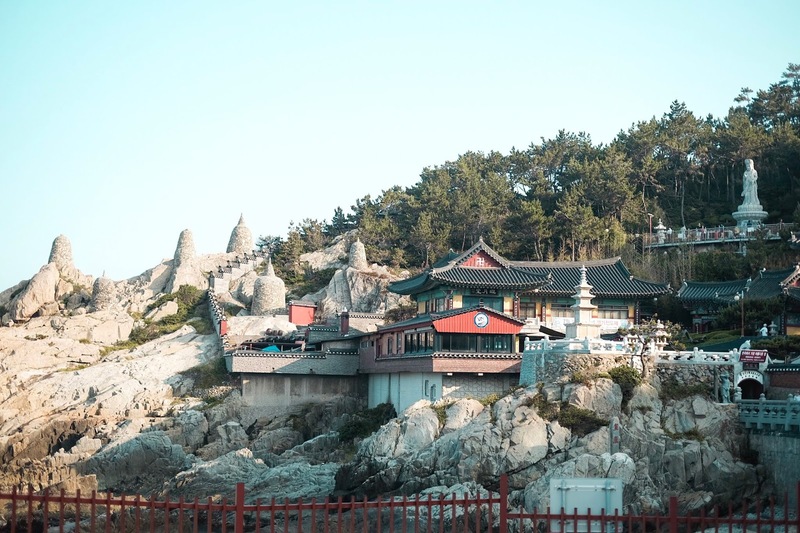 Haedong Yonggusa Temple is called as "The Best Beautiful Temple in Korea" (written there, tbh). It's a Buddhist Temple located along the shore, so you can see the ocean and cliff scenery from this temple. We arrived there pretty late (it's so hot T.T) and the food stalls were already closed, just left some people around the site but I think it's better like that because many people = hard to take photos without photobomb, haha. When you arrived, you can see a lot of street food stalls (but they already closed when I went there) and welcomed by the 12 zodiac statues. Of course, I took one photo with my zodiac: Rooster, lol. I can say that this place is legit beautiful, especially the ocean view. Look at this photo below, it doesn't need any filter! I knew this place from some Indonesian influencers' instastories, and decided that I must visit it too. 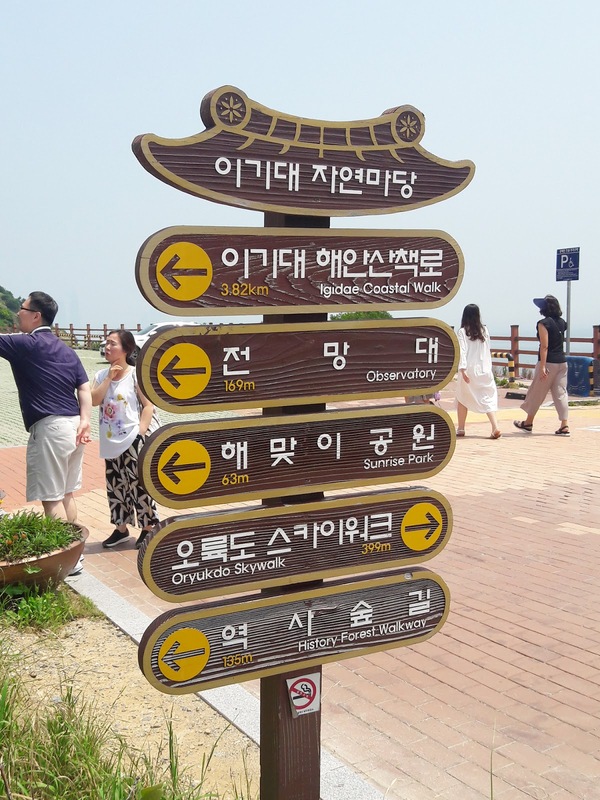 Oryukdo Skywalk was the best of the best places I've been to in Busan, it's worth the pretty long bus ride and crazy heat (and tanned skin). It's built at a border between the East and South Sea and called Seungdumal at first because the "skywalk" was built like the shape of saddle. I took the bus number 27, get off after 25 stops at Oryukdo SK View Humun (Backgate). It took around 40 minutes from Busan Station to Oryukdo Skywalk but trust me you're not gonna regret this trip! 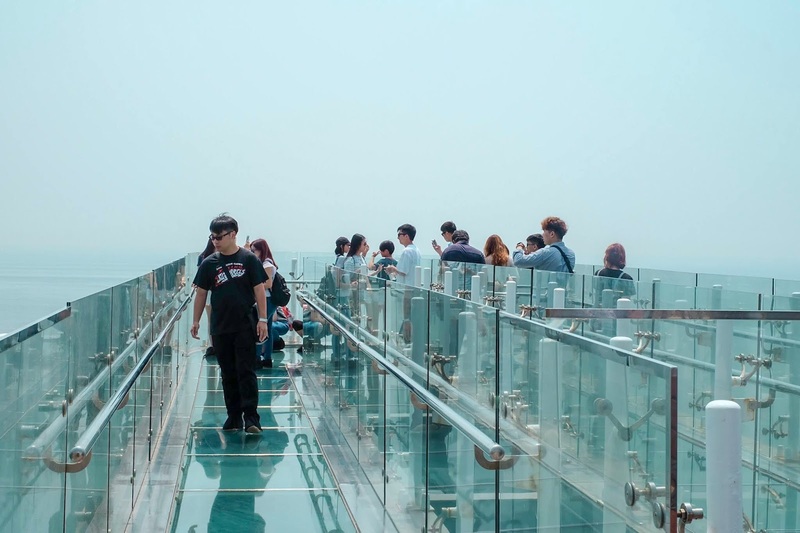 However, actually there is not too much things to do and see at the skywalk, you basically can walk above the sea, but the glass was not clear enough and it's too close to the cliff, so I was just not too impressed. I still prefer the scenery I saw from Igidae Coastal Walk (the one beside Oryukdo Skywalk). So if you want to see a better ocean view, you can walk to the opposite way to the Igidae Coastal Walk. You need to climb the stairs but your energy and sweat will be all worth it in the end, lol. You can also see Oryukdo Skywalk (the glass floor bridge) from here. If you're more like city-girl, you love shopping or trying local culinary, then here is your must-visit place: Seomyeon. It's the downtown where you can find various food, beauty and fashion stuff (Olive Young, Spao, etc). Here you can also find Daiso with several floors (I forgot), it has a lot of stuff with cheap price. I actually didn't really think about what to eat during my trip in Korea because my friend Ayu is a foodie so she decided (almost) all the food. She said this Gaemijip is her reason to visit Busan again. They specialized in stir-fried small octopus, we can order Nak-gob-sae- Nakji (small octopus), Gobchang (tripe), and Saewoo (shrimp). source: trazy.com Anyway, you can only find Gaemijip in Busan, that's why make sure you try this when you visit Busan! That's it for Busan! Actually, there many more things you can do in Busan. We didn't even visit Haeundae or any beaches there because we just got 3D2N to explore. I love this city and I wish I can go back there someday in the future :") Anyway, I will write blogposts about each places in this post, I have too many nice photos to not share, hahaha. See you then!